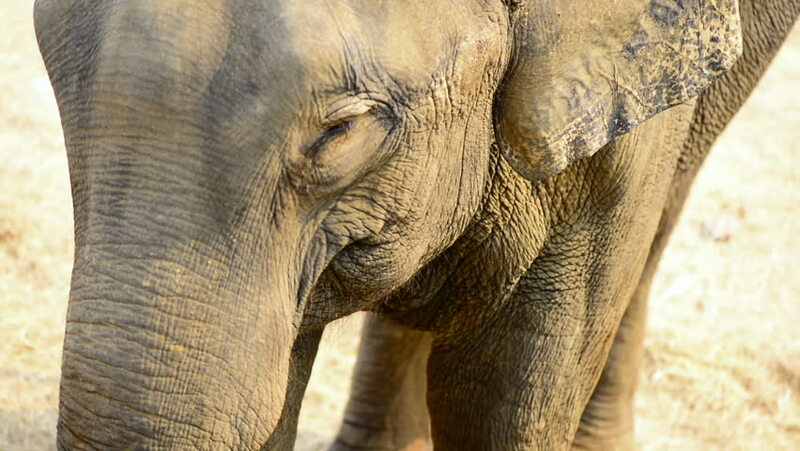 Close up of an elephant's face. hd00:18White donkey, pan from left to right, beautiful slowmotion shot towards his head. 4k00:30A lioness relaxes in the evening sun. Close up shot of female lions head. hd00:25Lion in the Lion and Chitaah Park in Harare in Zimbabwe, Africa, animals such as lions, zebras, giraffes, antelopes and hyenas are living. hd00:24Long eye contact with adorable lion on fallen tree background. Biggest cat, horoscope and zodiac symbol. Amazing beauty of the wildlife in the excellent HD clip, red toned in retro film style.